1. Creating a well-diversified silver portfolio is the top among all silver investing strategies to focus on. It’s important to not only consider physical silver bullion bars as the only silver investment method but to think about investing in silver securities on top of that. Investing in silver certificates and silver ETF will enable you to profit from rising silver spot prices without worrying about safety and storage of your physical silver commodity. 2. Learn how to research silver companies involved in silver mining industries. It’s important to not only look at their financial statements but also at geographic locations of their silver mining sites to insure that they are not located in politically unstable areas. 3. Learn how to read stock charts since this knowledge lies at the foundation of any silver investing strategies. 4. Stay away from penny stock silver companies. 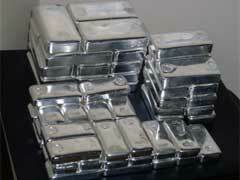 Investing in silver is your hedge against inflation, a safe haven in a volatile market. When you invest in silver penny stock companies, you are gambling your future away with companies that can go under practically overnight. 5. When buying physical silver, opt for larger size 100 oz silver bars vs. silver bullion coins like, for example, American Eagle silver bullion coins due to lower premium costs associated with such silver bars. Since you are buying physical silver for its silver content, focus on minimizing premium or any other extra costs. 6. Knowing when to sell your silver securities is one of the most important silver investing strategies to utilize. If you miss the perfect timing to sell, you might encounter unnecessary monetary losses. 7. Absolutely avoid buying silver jewelry or rare silver coins as forms of silver investment. This silver investing advice is important to stick to in order to avoid incurring unnecessary costs that come attached to jewelry and rare coins’ mark ups. Silver coin collecting is a hobby but not an investment. If you are willing to read more on American Eagle silver dollar value, scroll over to read our article on this topic.